I am getting really behind on putting new posts out here and for that I apologize. Yesterday I noticed that my traffic is beginning to spike from Pinterest repins so I figured I better start adding more content when I can! 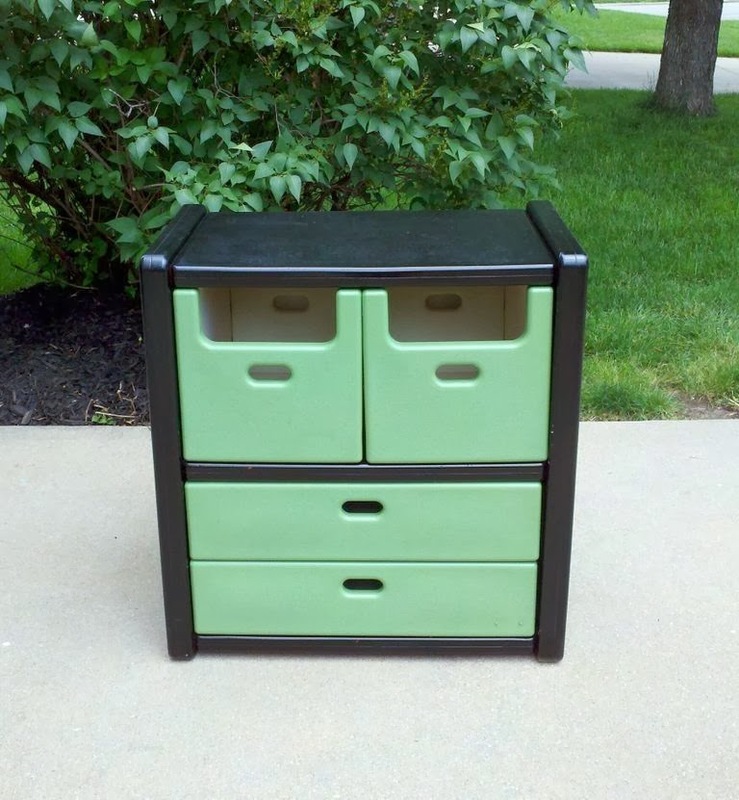 I could have sworn that I had already posted my toy chest makeover but I could not find it so apparently I am losing my mind! 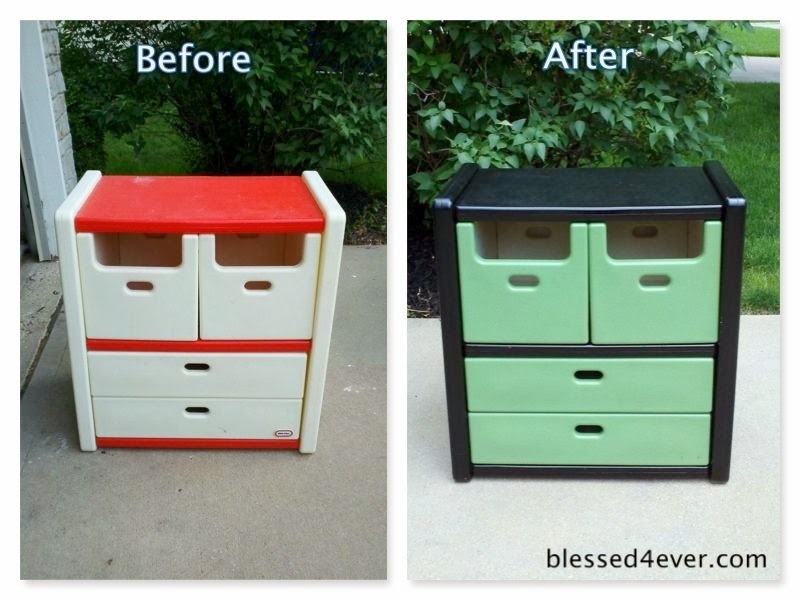 This weeks project is a simple spray paint makeover of some garage furniture. Total project time was a few hours and 2 cans of spray paint. 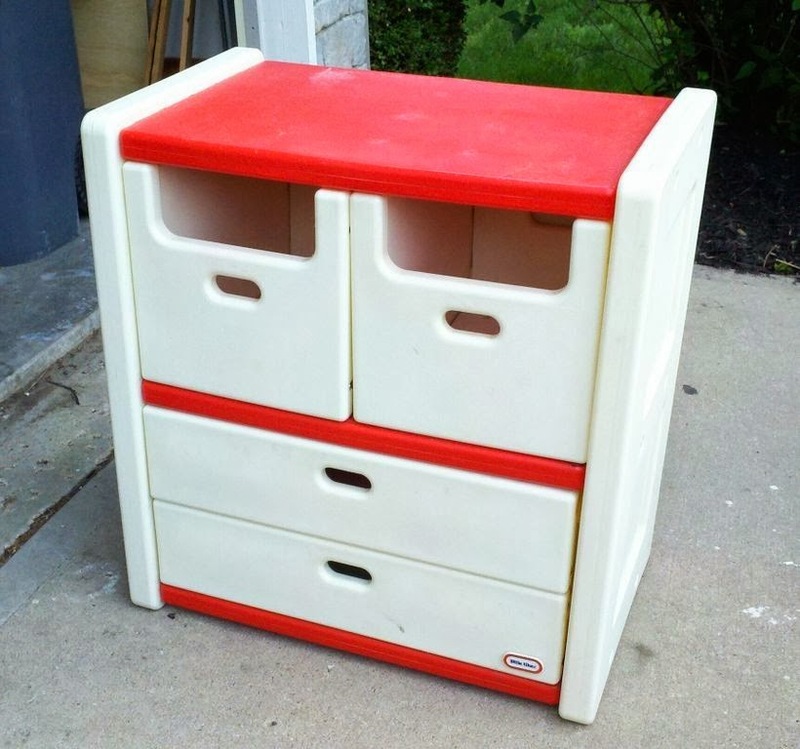 Our project starts with Ashley and her Mom finding this Fisher Price chest of drawers at a garage sale and bringing it home. As soon as I saw it, I knew it was perfect for our garage and our wide assortment of kids toys. However, the color wasn’t my favorite but I knew it could easily be changed. Overall it was a very simple project. I started by taking out the drawers and removing the few screws holding them together. I spread the parts across the backyard and then proceeded to use my favorite brand of spray paint… Rust-Oleum! A few coats of paint and a few hours drying time and I was ready to put them back together. Overall it has held up really well. There are a few spots were the paint has come off from the drawers rubbing against the sides but I have come to expect that when painting plastic. 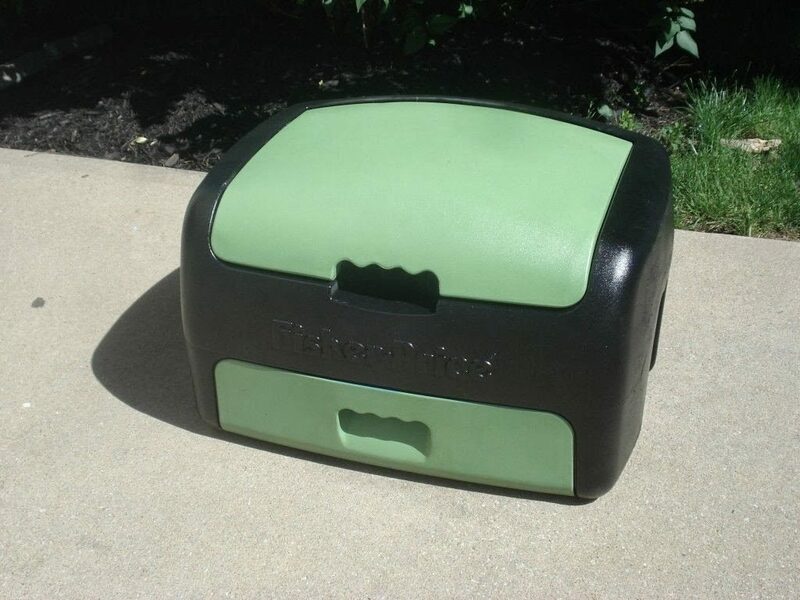 In addition, while I was doing this project, I also painted an old toy trunk that we had. Of course no before picture of that either. I think it had a blue lid and cream colored body. Now we have a matching set!